Model: This model is made of laser cut, colored architectural-quality card stock. It comes with the finest, laser-engraved details. Extensive instructions for building the model are included. 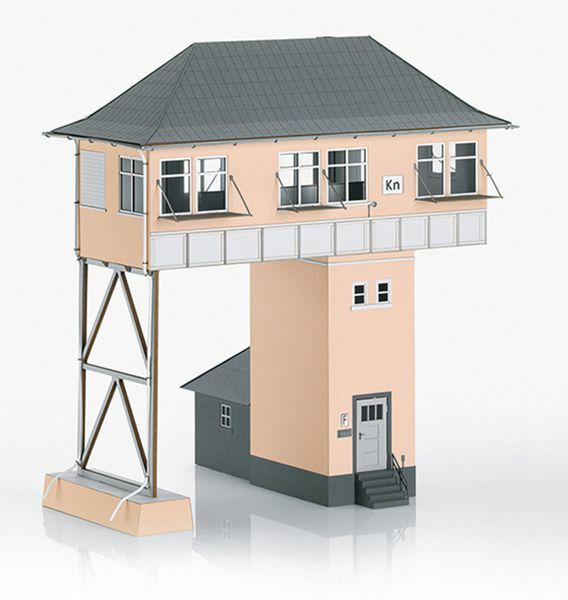 Signal tower dimensions: approximately 72 mm x 49 mm x 87 mm / 2-13/16" x 1-15/16" x 3-7/16" (L x B x H) H = ridge height. The width for clearance between the base and the stairway is approximately 29 mm / 1-1/8", base width approximately 11 mm / 7/16". The width of the stairway is approximately 19 mm / 3/4". The height for clearance is 44 mm / 1-3/4".